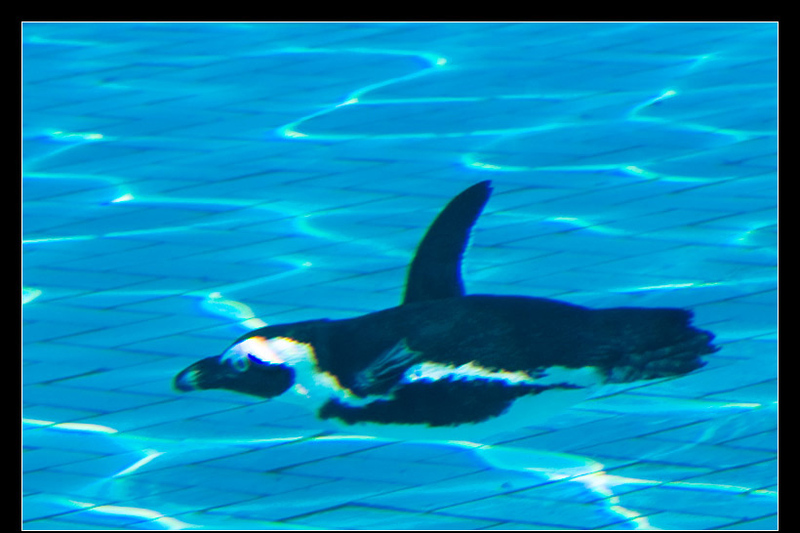 There are two ways of locomotion in the water: first the underwater swimming and secondly porpoising like a dolphin. 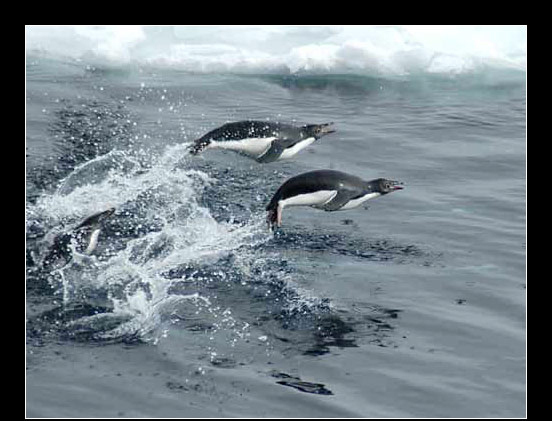 Porpoising means that a penguin swim underwater with a speed of about 12 km/hour and then jumps out of the water about every 30 à 50 m and flies half a second through the air, diving back again. He uses this short time out of the water to breathe. Especially by adelies, chinstrap and gentoo penguins you can see these style. When other species swim like that, mostly it means they are in danger. 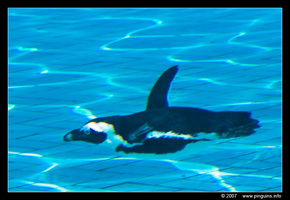 Underwater swimming is practised by all species and asks less energy. 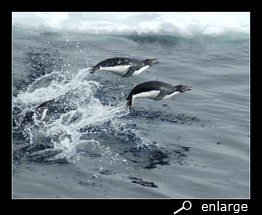 They swim at a speed of about 8 km/hour, come on the surface to breathe, rest a while and then swim further underwater.